Tech Trek’s third outing at The University of Alabama in Huntsville (UAH) drew an all-time high of 65 rising eighth-grade girls from 39 schools across 17 Alabama counties. 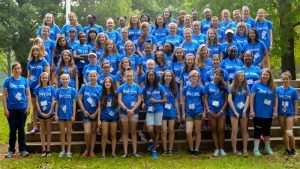 The weeklong residential camp, an American Association of University Women (AAUW) program, was held on the UAH campus from June 12-18 and featured intensive hands-on experiments and activities. All were designed to promote campers’ interest in the science, technology, engineering, and math (STEM) fields, offering a targeted response to research showing that girls often take themselves out of the STEM talent pool while in middle school. 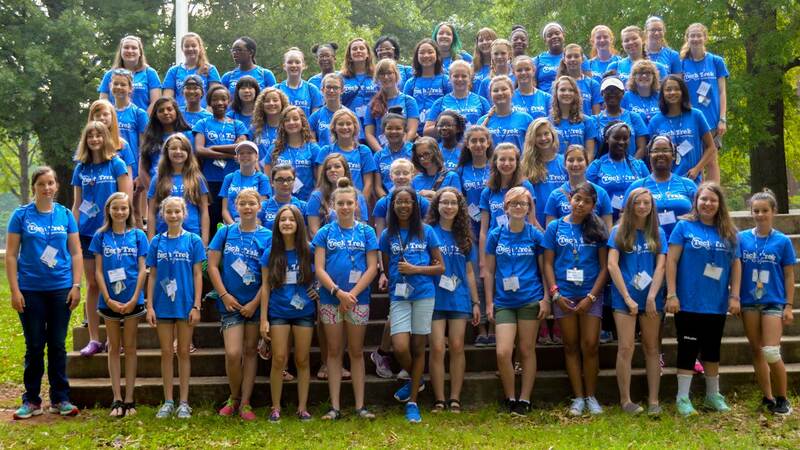 This year’s itinerary included courses on app development, cybersecurity, energy, and robotics; workshops on water filtration, electroplating, genomics, and sound waves; and field trips to the U.S. Space & Rocket Center, Teledyne, PPG Aerospace, and Adtran, who served as host of the camp’s annual Professional Women’s Night event. As in the past, the camp’s cost per person was kept to a modest $50 thanks to the support of national sponsors, including AAUW, Verizon, Lockheed Martin, and Symantec. Additional support is provided at the local level from PPG Aerospace, UAH’s College of Engineering, AAUW-Huntsville, Jacobs Engineering, Adtran, PeopleTec, Women in Defense, UAH’s College of Science, Dr. N. Jan Davis, Ms. Ruth Jurenko, and Ms. Eleanor Lienau.